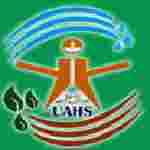 KAU Teaching Assistant recruitment 2016-17 notification apply for 01 post : Kerala Agricultural university (KAU), walk-in-interview will be conducted on 20th July 2016 at Agriculture research station, Kerala agriculture university, Anakkayam, Malappuram in select candidates for the temporary position of Teaching Assistant (Agriculture) vacancies On contractual basis. Candidates who completed their M.Sc. is a good opportunity.The individuals who are the occupation seekers searching for govt employments in Kerala this is the best chance to apply. Competitors read the official notification then read all the guidelines and miners precisely then apply before the last date online application got. All the interested and eligible candidates can appear walk-in-interview 20th July 2016. Candidates Age Limit: The age of the candidate is 36 years. The age of the applicant should be as on 1st January 2016. Academic qualification details: Candidates should have Master degree (M.Sc.) in agriculture horticulture. Process of selection for the job: The selection of the candidates will be on the basis of walk-in-interview that will be held at Agriculture research station, Kerala agriculture university, Anakkayam, Malappuram on 29th July 2016. Process of applying for the job: Candidates may attend walk-in-interview that will be held on at Agriculture research station, Kerala agriculture university, Anakkayam, Malappuram on 29th July 2016. Details and address of interview: Interested and eligible applicants applying for the position of Teaching Assistant may attend walk-in-interview that will be held at Agriculture research station, Kerala agriculture university, Anakkayam, Malappuram on 29th July 2016. Important Dates: Date of interview is 29th July 2016. Time of interview is 09.30 a.m.